At a moment in which great divisions threaten our world, how can we challenge ourselves to step bravely into the future? 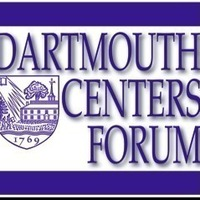 The Dartmouth Centers Forum (DCF) and the Dartmouth 250th Anniversary invite proposals for programming from students, staff, and faculty that address the 2018-2019 theme, Envisioning the World We Want. The DCF is a collaborative alliance of 20 campus organizations that seek to promote an open dialogue on complex issues. Through this Request for Proposals (RFP), the DCF hopes that creative panels, workshops, discussions, and performances around this theme will work to draw students, staff, and faculty into bravely inventing our shared future together. The DCF adopts the Envisioning the World We Want theme in concert with the Dartmouth 250th Anniversary in celebration the past 250 years at Dartmouth, “Honoring Our Past; Inspiring Our Future”. Proposals that demonstrate collaboration among organizations and strive for intergroup partnership and engagement are highly encouraged. We hope to receive proposals representing a broad array of activities ranging from in-depth dialogues with a few participants to larger, campus-wide programming. The deadline for proposals for spring term events is end-of-day on Monday, February 11th. Proposal budgets should not exceed $2,000 and the primary project lead on proposals must be a student, staff, or non-tenured faculty member although collaboration with tenured or tenure-track faculty is permissible. The selection committee may choose to award full or partial funding. Successful proposal applicants will be contacted the week of February 18-22. Grantees will be required to submit a one-page description of the event along with (a) the number of individuals involved in the event; (b) 2-3 digital photos (with a minimum resolution of 300 dpi, as an email attachment) showing those who participated in the event; (c) reflection on lessons learned and how the event achieved its goal in line with the DCF theme. This must be sent within 72 hours of the event’s completion. The above should be sent to [email protected] and may be posted on the DCF website (www.dartmouth.edu/~centersforum), Dartmouth’s 250th website, or other media, as appropriate.